Jennifer completed her PhD degree in Interdisciplinary Studies (emphasis in Anthropology and Media) at the University of British Columbia. She joined SARAVYC in September 2014 as a project Coordinator. As Managing Director, she is responsible for managing all administrative and support activities related to the centre’s research and co-ordinating its affiliates. 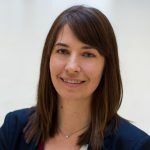 She also spends time representing the Centre and the Centre’s research across UBC, at outreach related public events and with private as well as government stakeholders. Jennifer is a visual anthropologist, qualitative researcher, and digital media creator. Her dissertation created digital media with a cohort of teens from a drop-in center and explores the connections between traditions, digital technology and social media use among marginalized urban First Nations youth in Northern British Columbia. Her dissertation can be found online. Her continued research interests include marginalized youth, media policy, community engagement, digital publics, and the anthropology of the internet.